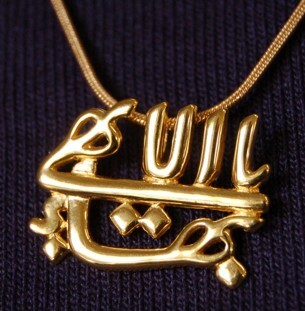 This hand-crafted Greatest Name pendant “floats” over its chain for an elegant look that eliminates the distracting loops and bails that interfere with the power of the calligraphic design. Heavy gold plating over true sterling silver creates a rich look for a fraction of the cost of solid gold. It is unlike anything else available.